We were incredibly lucky to be joined by over 230 headliners participating across 20 areas for PX+ 2018. Our headliners included chefs, farmers, restaurants, FOH, BOH, bakers, millers, makers, producers, suppliers, speakers, artists, and more! Discuss, reflect, collaborate and change. A selection of a few of our 2018 discussions. Hospitality industry today - What is next? Regina Varolli of CulEpi, Clare Smyth of Core, Michael West of Jason Atherton Group, Monica Berg of (P)our Symposium, Jane McAra of McAra. Soil for flavour. Marie Holm - Food writer, Franco Fubini of Natoora, Oscar Harding of Duchess Farms, Jane Scotter. How should we run a sustainable hospitality business? Alessandro Porcelli, Alecxa Welsh, Peter Prescott, Trash Tiki, Jan Konetzki, Claudette Zepeda Wilkins. Redesigning a smarter and more sustainable supply chain. Franco Fubini, Kimberly Bell, Andrew Clarke, Mohsin Al Tajir. An appetite for diversity; working with the YQ population wheat. Kimberley Bell - Owner and Founder of Small Food Bakery in Nottingham. Winner of 2018 UK Food and Farming Award. The merits of whole grains. Graison Gill, Bellegarde Bakery in New Orleans, U.S.A.
Heritage Grain Research. Fintan Keenan, Grain breeder and farmer, Denmark. 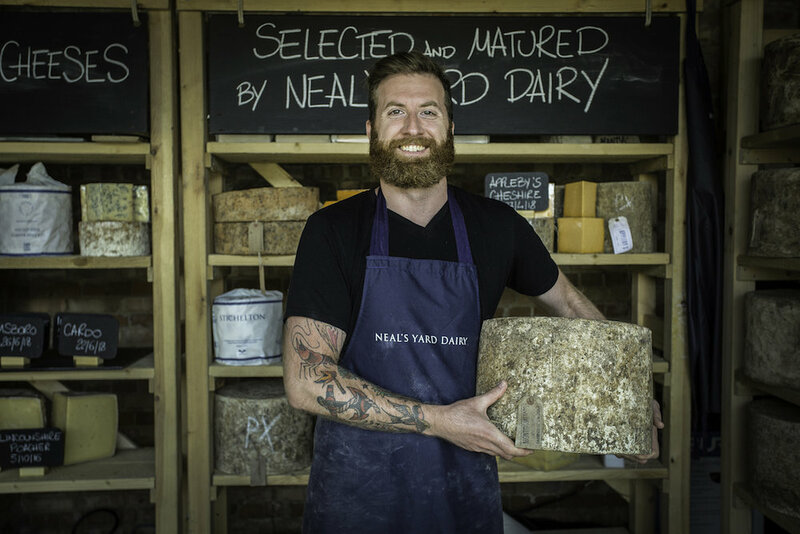 Neals Yard Dairy / Re-Inventing the Wheel, U.K.
Sean in the Woods, U.K.
UK Sommelier of the year 2018. Four Seasons' Ten Trinity Square, London.